The Center for Veterinary Health Sciences (CVHS) at Oklahoma State University is serving Oklahoma as the only college providing veterinary medicine education in the state. When you support the Center for Veterinary Health Sciences, you help shape the future for Oklahoma State University. By contributing to the fund below, you make our future brighter orange! 28-97650 - This Operating Funds-Specific Purpose fund benefits programs through CVHS. 28-82000 - This Operating Funds-General Purpose fund benefits programs through CVHS. 28-83300 - This Operating Funds-Department/Program Specific fund benefits programs through CVHS. 28-94550 - This Facilities Building Construction fund benefits facilities and equipment through CVHS. The Center for Veterinary Health Sciences is made up of a community of professionals committed to graduating highly skilled veterinarians prepared to serve societal needs which span animal, human, and environmental health and welfare; to lead the nation in basic and applied biomedical research to discover the answers which may lead to cures for diseases we currently are unable to manage; and to provide the best veterinary services to our clients and referring veterinarians through both primary and specialty veterinary care. The role veterinarians play goes far beyond the private practitioner, although this is what most people are familiar with due to the restorative and preventive healthcare their pets and production animals need. Our purpose is to serve the people of Oklahoma with their animal care needs. 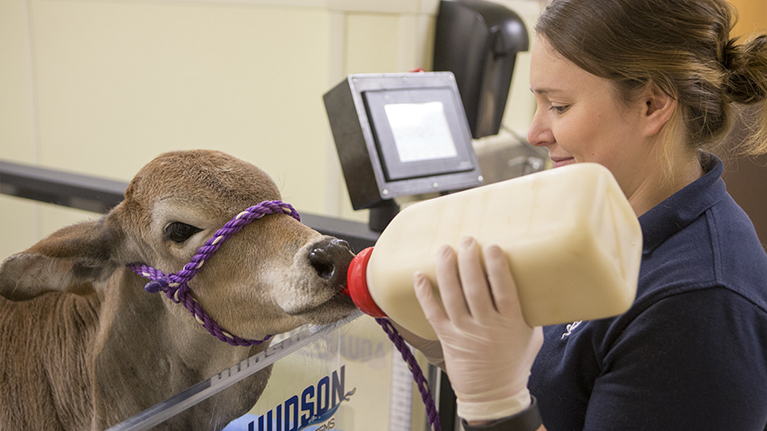 The Center for Veterinary Health Sciences is made up of a complement of medical facilities: the College of Veterinary Medicine, the Oklahoma Animal Disease Diagnostic Laboratory, and the Boren Veterinary Medical Teaching Hospital. In addition, Center facilities include the Veterinary Medicine Ranch, specializing in Equine and Bovine Breeding and Reproduction Services, the Equine Research Park, the Wendell Wallace Bovine Research Facility, and the Cohn Family Shelter for Pets. Risco received his DVM degree in 1980 from the University of Florida and advanced clinical training as an intern in private dairy practice at the Chino Valley Veterinary Associates in California. He is a diplomate in the American College of Theriogenologists. 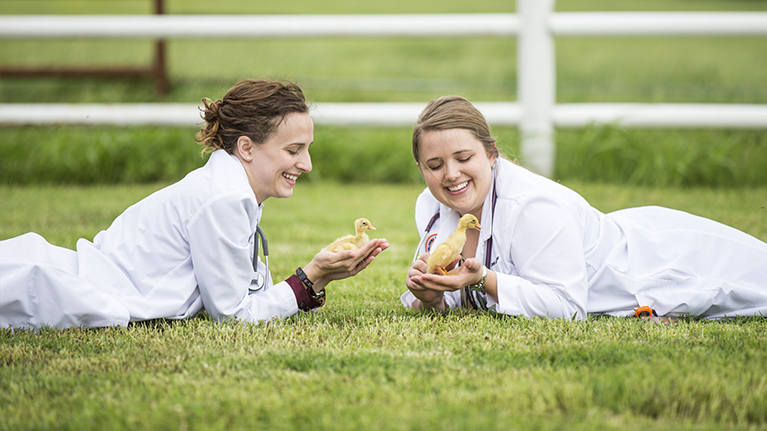 The strong culture of scholarship, outstanding curriculum and the multidisciplinary approach to improve both animal and human health has led to the excellent reputation of the OSU Center for Veterinary Health Sciences. From 1982 to 1990, he was a full partner at Chino Valley Veterinary Associates, a nine-veterinarian dairy practice. In 1990, he joined the faculty at the University of Florida as an assistant professor in the College of Veterinary Medicine. 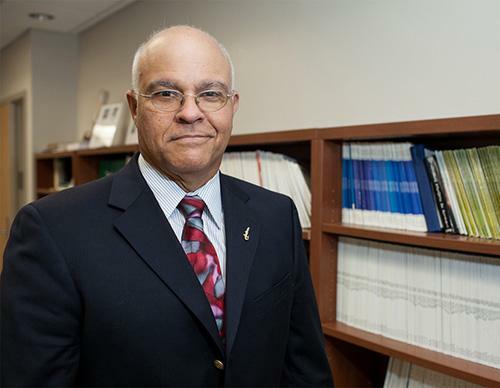 Dr. Risco’s main research focus pertains to metabolic disorders and reproductive management of dairy cows. 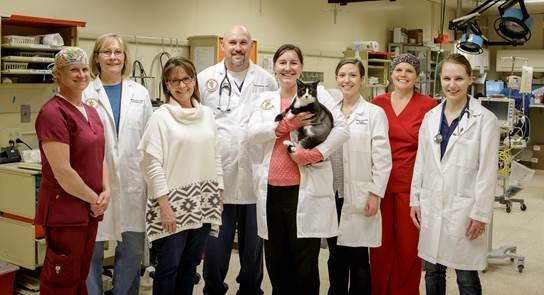 The Center for Veterinary Health Sciences (CVHS) Grateful Client Giving Program is a donor recognition program that is designed to actively engage clients of the Oklahoma State University Veterinary Medical Hospital. Without the support of generous clients, you and your animal would not be able to receive the high quality, compassionate care that the Veterinary Medical Hospital is able to provide. The goal of the Grateful Client Program is to continue to raise support for the CVHS and to recognize donors who have dedicated their giving to the hospital. When clients give through the Grateful Client Program, they honor those who have touched their lives, while supporting outstanding patient care at the OSU Veterinary Medical Hospital. Linda Wheeler came to tears the first time she saw Romano. The 6-month-old kitten, a stray who popped up in the yard of the Tulsa woman’s sister, bore a striking resemblance to a cat Wheeler had recently lost. The only difference was Romano’s perfect heart on his nose. Was it a sign? After all, it turned out that his heart had a hole in it, which was leading to congestive heart failure. But Oklahoma State University’s Veterinary Medical Hospital came to his rescue with a first-of-its-type-in-Oklahoma procedure. Dr. Ryan Baumwart, veterinary cardiologist, and Dr. Danielle Dugat, small animal surgeon, of OSU’s Veterinary Medical Hospital, collaborated on the surgical procedure. “The procedure hadn’t been done in Oklahoma,” Wheeler says. "I am extremely thankful for the generosity of our grateful clients. Their charitable gifts facilitate opportunities that would otherwise not be possible. They allow us to continually advance patient care, enhance learning opportunities for our students and transform the future of veterinary medicine. 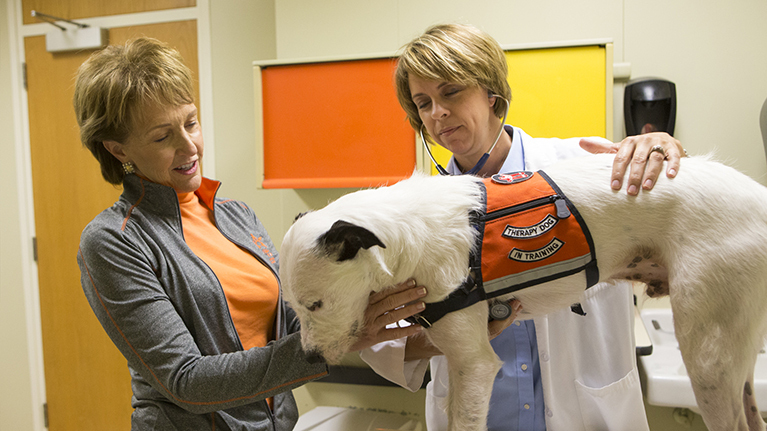 On behalf of our faculty, staff and students, I would like to express a sincere thank you to our grateful clients for partnering with us to make OSU the region’s foremost provider of veterinary care and veterinary education." “Everything went the way it was supposed to because we all had our plan and everybody stuck to the plan,” Dugat says. 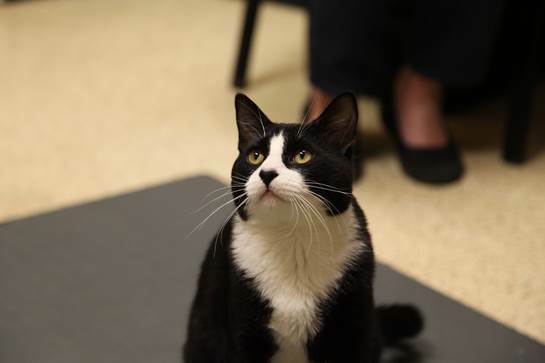 The procedure performed on Romano will allow him to live a longer, healthier life. The only alternative would be to have (very rare) open-heart surgery to correct the hole in his heart. For questions about Grateful Client giving, contact Chris Sitz, Senior Director of Development at csitz@osugiving.com or 405-385-5170.